Ah, Game of Thrones iz back. 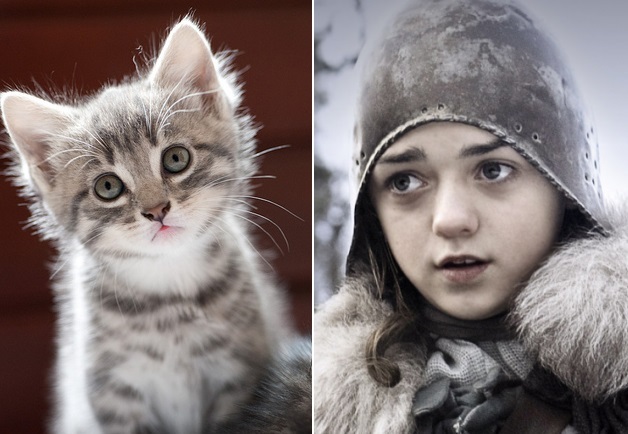 My human and I iz obsessed.... so I found these awesome felines to be their replacements when all of the human characters die. I mean come on, everyone iz going to die in a terrible horrific and glorious ending (Which I LOVE! Iz this author a cat? He must be a cat. 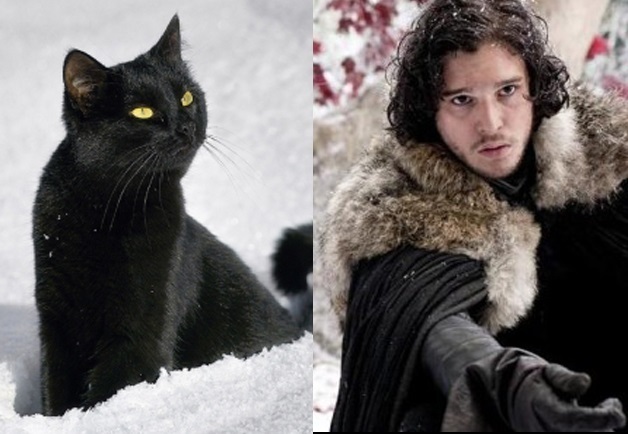 Only a cat could dream up something so beautiful and deadly). So we might az well get these cats into the mix sooner than later. 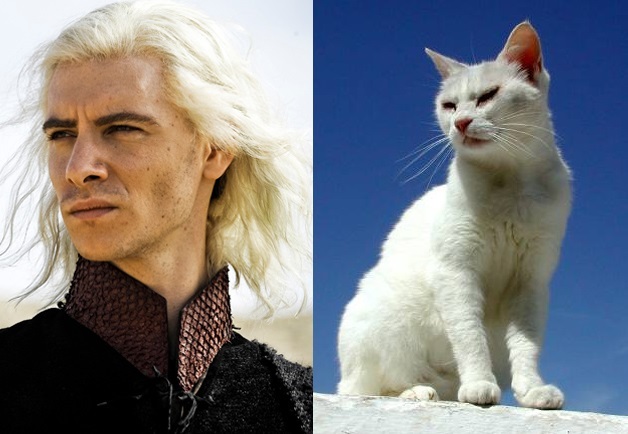 Viserys Targaryen. I would haz killed him a long time ago, but hiz ending waz a good one! 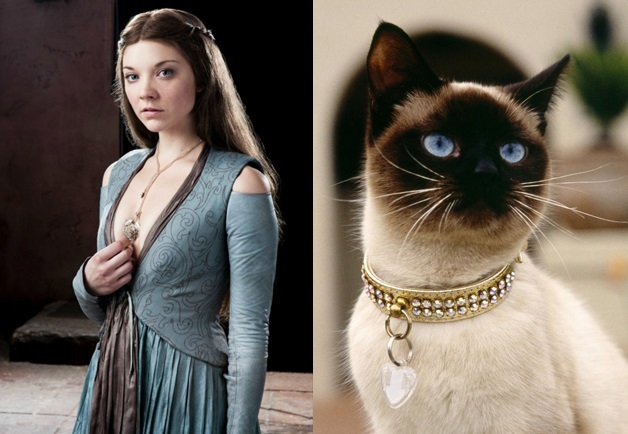 Margaery Tyrell - Such grace and beauty. But... she haz a killer heart in her I just know it! She iz someone to keep an eye on... and now married to the..."king." 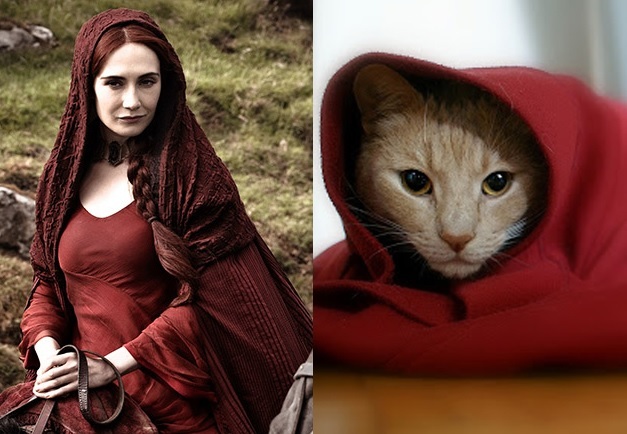 Melisandre- she dabbles in some dark magic. That birth to the dark creepy murder shadow waz... well terrifyingly dark and evil. I iz jealous. 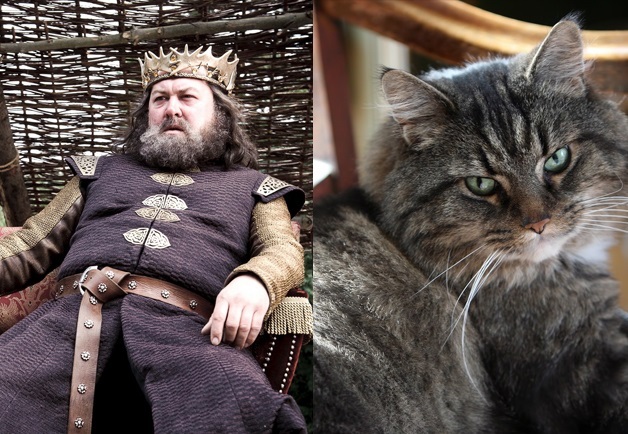 Robert Baratheon - Once a fierce warrior who then turned into a fat slob and dies. Sounds like the life of us house cats. 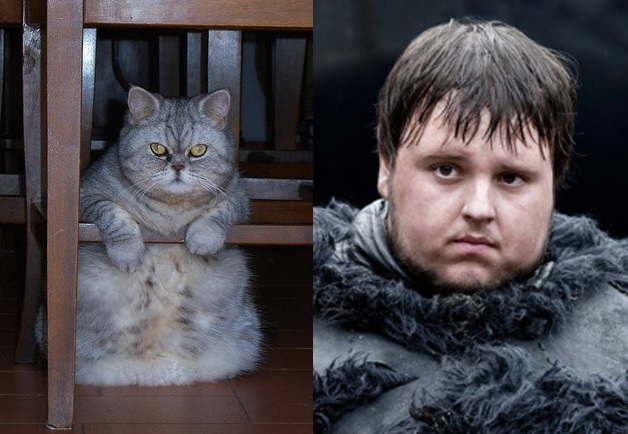 Samwell Tarly - a chubby wimp that iz sent to the wall. He iz pretty smart though. He needs a cat to toughen him up. Sansa Stark - proper and sweet. But that won't get you anywhere here, human! 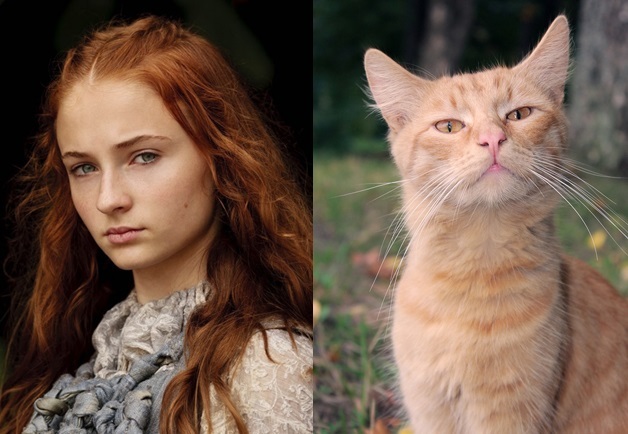 She needed to dig deep down into her inner cat, and plot the perfect murder for Joffrey when she had the chance. Too late now, Joffrey haz a new wife to scare. She needs to be replaced by the cat for the realm's sake. 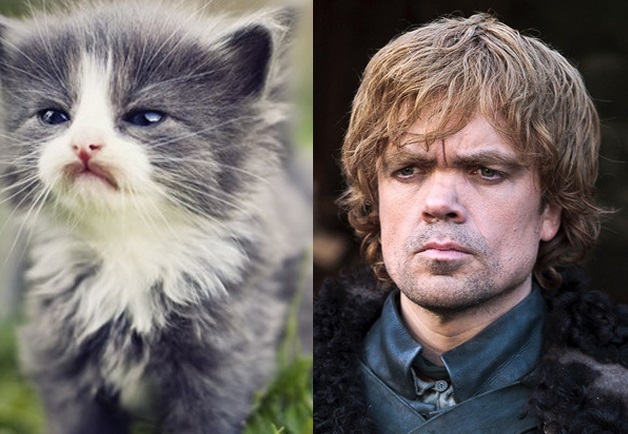 Tyrion Lannister - dwarf and awesome. Cunning, hilarious, brave... and just awesome. 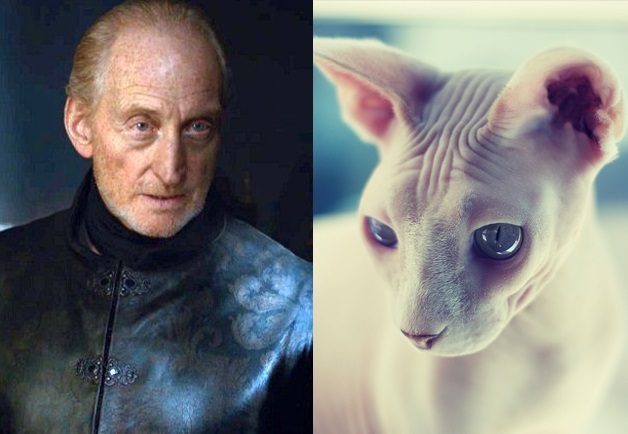 Tywin Lannister - father lion and orchestrated the red wedding... such a massacre. I respect the evil-ness. But hiz death iz coming... I can smell it! 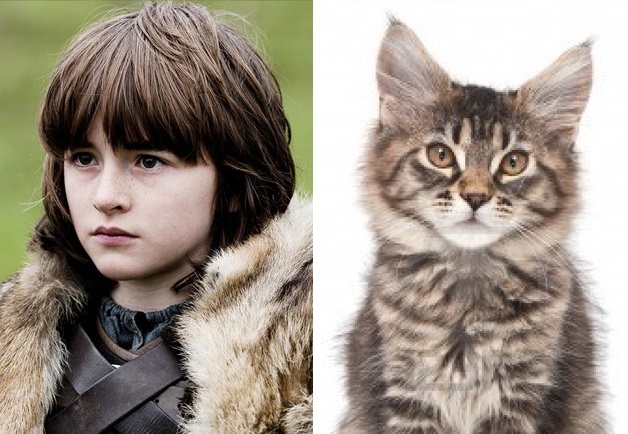 Bran Stark - pushed from a window, survives, and can possess animals with hiz mind. He iz going to have a major role I think when the White Walkers come.... or he'll get murdered horrifically. Either one. 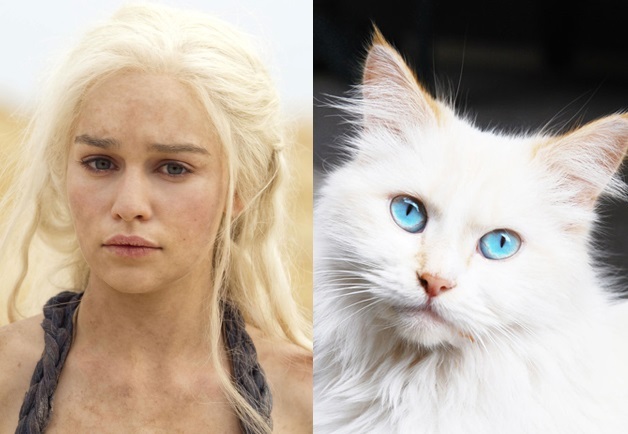 Daenerys Targaryen - awesome and haz dragons. Seriously, dragons. I want a dragon. I need a dragon. 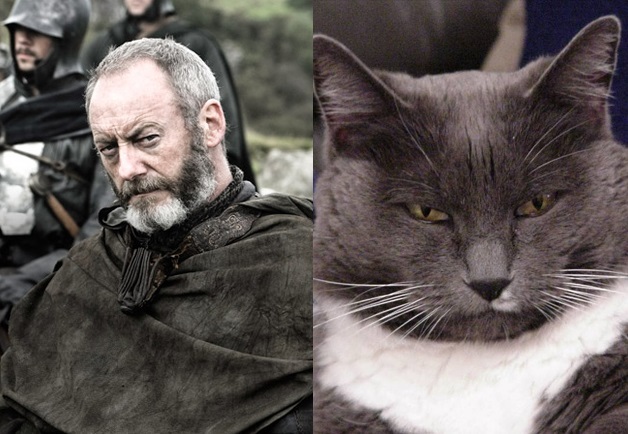 Davos Seaworth aka the onion knight - former smuggler and great sailor. He almost died... but he survived. Probably so he can die a more vicious and terrible way. 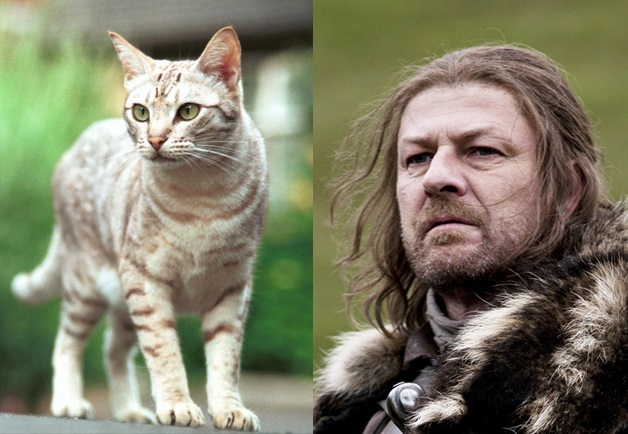 Ned Stark - proud and loyal. But way too trusting. Never trust anyone and kill first, then ask questions. Keep it simple. Winter iz not coming anymore for you. Jaime Lannister - once proud and fierce warrior. He haz fallen on some hard times recently. And hiz uh "relationship" with hiz sister iz still weird. 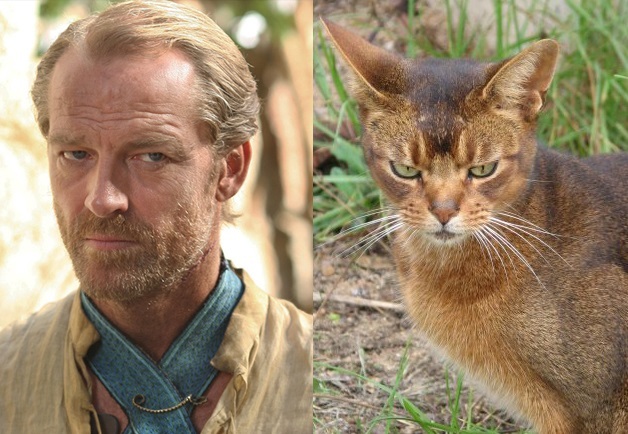 Jorah Mormont - good fighter and Daenerys' right hand man. Dragon will probably eat him soon. 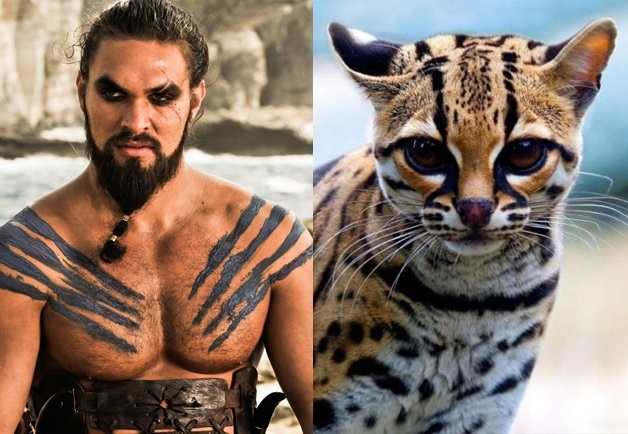 Khal Drogo - warrior. The best. Hiz death waz a sad one, he deserved to go out in a blaze of glory.... and not by the witch lady messing with hiz wounds. 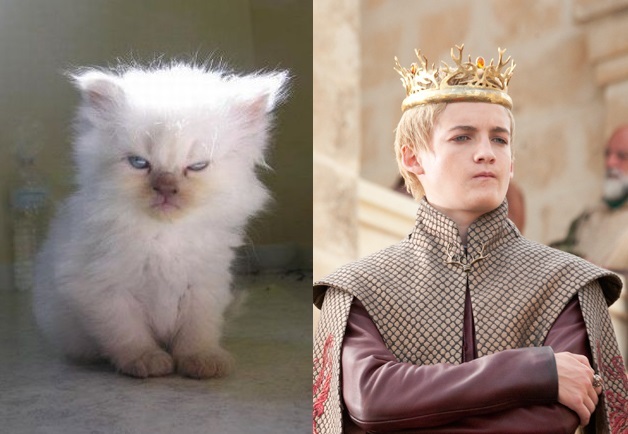 Joffrey Baratheon - sadistic and whiney teenager. 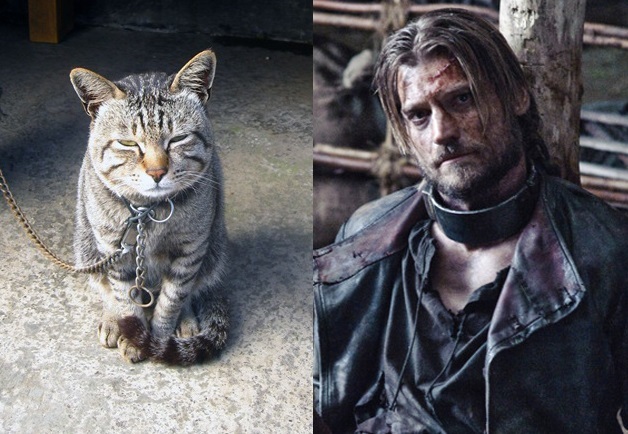 I mean az a cat, I can appreciate the murders and evil schemes, but something about hiz face... just makes me want to pee on it.